Yes, iPhones are a big deal, which we discussed on Evans on Marketing when the 10th anniversary models were unveiled. 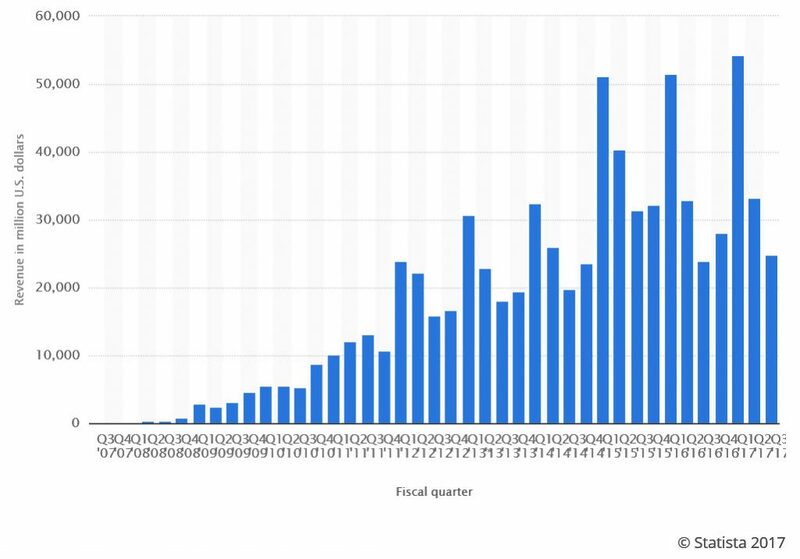 Since introduction, the iPhone has represented a HUGE percentage of Apple’s total revenues. This entry was posted in Part 3: Targeting Customers and Gathering Information, Part 5: Managing a Retail Business, Part 6: Merchandise Management and Pricing, Part 7: Communicating with the Customer, Technology in Retailing and tagged Apple, customer expectations, customer loyalty, iPhone, planning, pricing. Bookmark the permalink.